THE Deputy Editor waves his arms in an animated fashion as he hurries through the office. He approaches my desk and positions himself between me and the Leek Man. He is really excited about something. 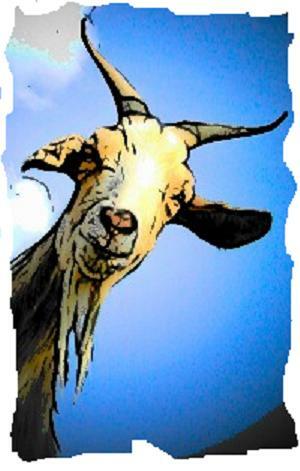 “I think you’ll find that the goat can actually surf,” says the Deputy Editor, his enthusiasm undiminished. “I think we should have more stories like that in the Observer and Bugle,” says the Deputy Editor, walking back towards his office. “Do that,” shouts the Deputy Editor over his shoulder. “And the Daily Express has a story about a horse that can tap out the complete works of Raymond Chandler in Morse Code with its front hooves – do you want that as well?” shouts the Leek Man. “I think you just did,” I say. “I think I just did as well,” says the Leek Man.